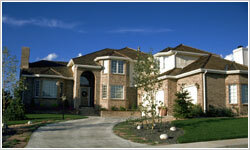 It can be exhausting for anyone to keep a home ready to show for an extended period of time. My proven system will reduce your time on the market to a minimum period of time. It all starts with the right selling price. My intuitive understanding of market conditions coupled with a careful examination of recent sales data will help you choose the right price! The right price will always net you higher offers and a quicker sale! I will not leave any money on the table. I will not waste your time! You make the final decision! My job is extreme marketing to gain the attention of the largest group of buyers. Your job is to accept an offer that is acceptable to you. I Look After The Details! Of course, we will take care of the thousands of details involved with your sale while you get on with your life, confident that everything will go smoothly.